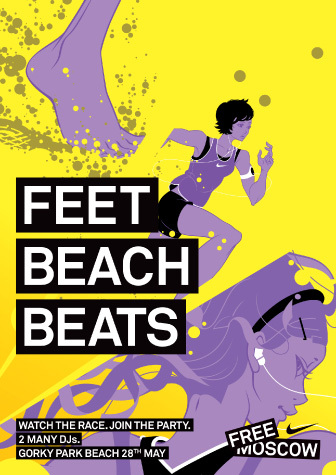 For the Nike Free shoe campaign Nike transformed a football pitch sized part of central Moscow into a beach where 1000 pre-selected young people would compete against each other to run 1km on sand. 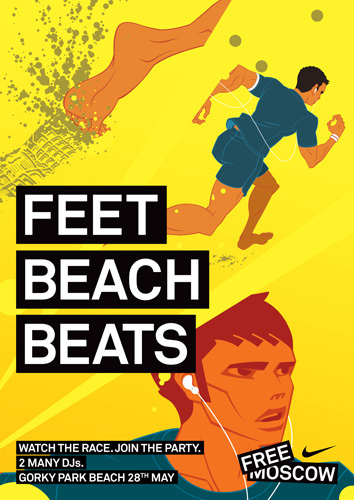 Using Nike’s unique campaign illustrations, Intro were asked to design and create outdoor presence in and around Moscow to encourage attendance to the event and raise awareness of Nike. 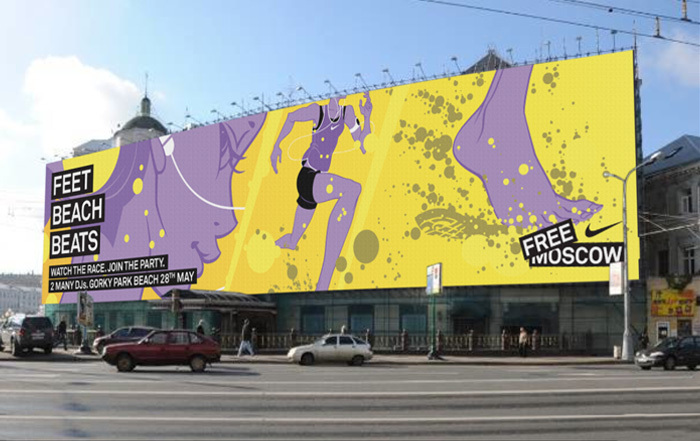 We delivered a large format building poster to run along the Arbat in central Moscow, as well as retail window executions, banners and supporting posters.